Win a Chief Joseph Blanket when attending the WWW Meeting on Oct 27! Wow, this year has flown by! The 24th annual Women Writing the West Conference will begin in Walla Walla in just a few days! 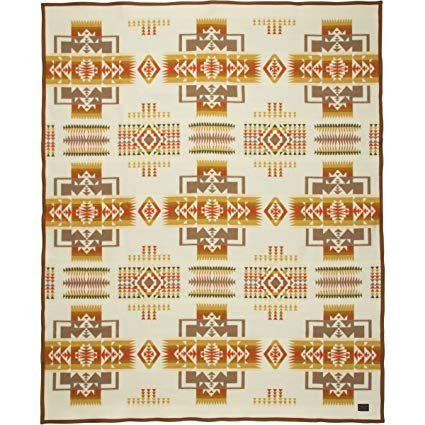 The Pendleton Woolen Mills generously donated a Chief Joseph Blanket for the 2018 Women Writing the West Conference. This gorgeous blanket will be raffled at the annual business meeting, held Saturday morning at 10:50 a.m., prior to lunch. Many of you might not realize it, but the business meeting is something that is held to meet requirements of our by-laws. And for any business to pass during this meeting, we must have a quorum of at least 20 percent of our membership. That’s why we are offering this additional incentive in hopes you’ll join us for the meeting. All you need to do to enter for a chance to win the blanket is attend the meeting. Every person attending will receive one free ticket to enter in the drawing. Must be present to win. Don’t miss out on your chance to win! Plan now to attend the business meeting Saturday, Oct. 27. We’re looking forward to seeing you in Walla Walla!